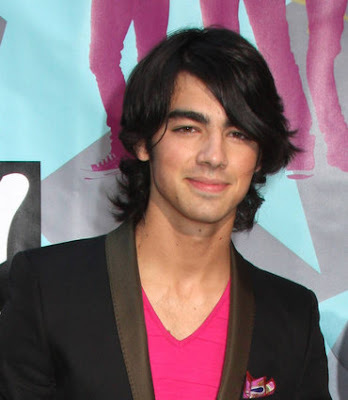 Joe Jonas has won Hottest Male in the Virgin Media Music Awards 2008: ‘Virginial Joe Jonas of The Jonas Brothers’ fame only just caught your eye over Justin ‘Trousersnake’ Timberlake. Was it his smooth pop lyrics or the fact you want to corrupt him from his Virginal ways? Wait til you’re married. Jonas Brothers Fandemonium is not affiliated with anyone related to the Jonas Brothers. As much info as we may know that is on the site, we are NOT any of the brothers or their family members. We do not have any of their personal information such as: addresses, phone numbers, email, AIM etc. We are just dedicated fans running a fan website. All material (photos, media, articles etc.) are copyright to their original owners. No copyright infringement is intended. ♪ 06/11 Jonas Bros. on "David Letterman"
♪ 06/12- Jonas Bros. "GMA Concert Performance"
♪ 06/19 - Jonas Bros. on "Today Show"
♪ 06/21 - Jonas Bros. host "Much Music Awards"
♪ 08/10 - Jonas Bros. host "Teen Choice Awards"
Are you going a Jonas Brothers World Tour Concert? What is your Favorite Song off LVATT? The Jonas Brothers Latest Tweets! Get the Jonas Brothers (Jonasbrothers) on Twitter widget and many other great free widgets at Widgetbox! Follow Jonas Brothers + Crew on Twitter! Jonas Brothers Fandemonium was established in 2008 by Christine. It consists of news, pictures, videos, and interviews of the Jonas Brothers. The website will be updated daily, supplying all of your Jonas goodies. Check out the site daily to get updated on your Jonas needs! Jonas Brothers 3D Movie Countdown! Jonas Brothers Exclusive Atlantis Video! Fan Family Experience Top Fans! FanFamilyExperience.com is now up and running! Nick and Miley reunited - Thanks to the Obamas! How Do I Tell the Jonas Brothers Apart? Kevin Jonas Gives Danielle A Dog! Jonas Brothers NEW MYSPACE LAYOUT!! Hey guys! Scroll down and leave a shoutout or recommendation for our blog!